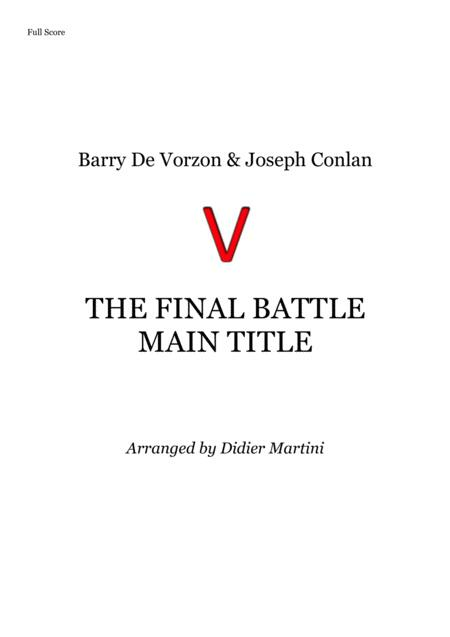 By Barry De Vorzon. Arranged by Didier Martini. Score, Set of Parts. 6 pages. Published by Didier Martini (H0.523693-SC001527577). A small ensemble arrangement, for French Horn, Keyboards (Lead Synth part & Chords Symbol included), Electric Bass, Drums, Timpani &and Double Bass. 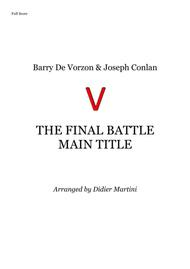 Composed by Barry De Vorzon for the Main Title of the Mini series "V - The Final Battle" (1984).